Neutral colored dresses are a staple in my closet. 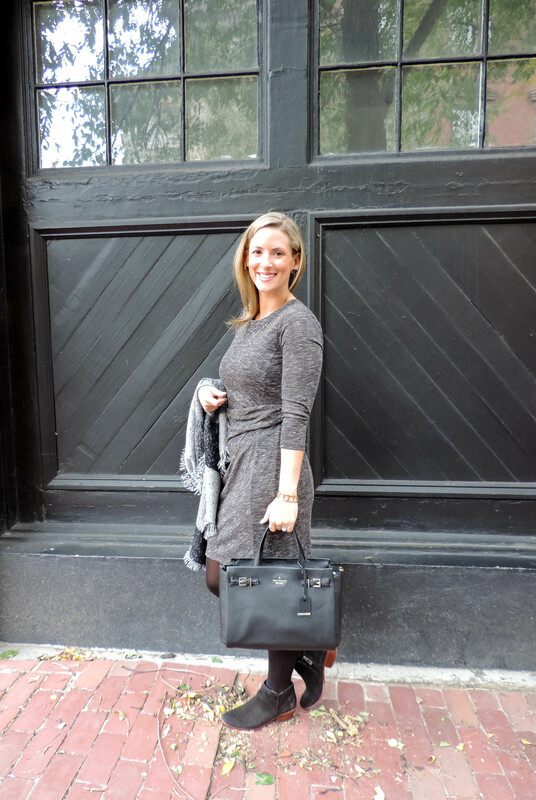 Whether it’s a LBD or a gray number like the one in today’s post, I love a good neutral dress! Here’s why: First, dresses are the easiest item in your closet when you are getting ready in a rush, but want to look put together- throw one on and you are done! Second, the neutral background means your accessory options are endless- stay semi-monochromatic like I did here or add pops of color for a bright contrast. It’s one of the reasons I can’t resist when I find a great, neutral dress- you can never have too many! 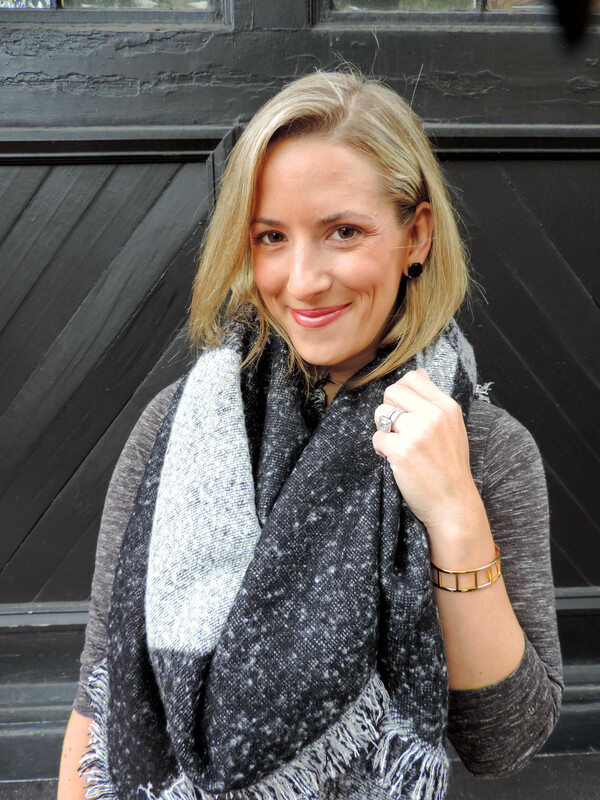 Grey is the color this season and you’ve styled it perfectly! Gorgeous, Jenna!! Thanks girl! Though I’m loving the basic #plaidblanketscarf, I’m happy to have this one too that’s a bit different! I need more neutral dresses in my life. That close up is such a great photo of you. Thanks Kristen 🙂 My mom took these photos and I think she did an awesome job!